At Mount Isa Entertainment and Tourism Venues, we pride ourselves in giving our customers a variety of unique experiences from attractions at Outback at Isa, concerts at the Civic Centre and Rodeos and events at Buchanan Park. Catering to a broad demographic and a variety of interests we offer shows including, but not limited to comedy, instrumental music concerts, children's theatre productions, opera, ballet and more. 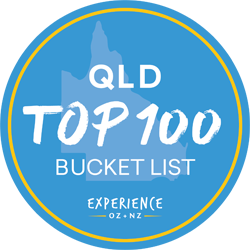 We seek to provide engaging entertainment options for the Mount Isa Community, the greater Outback Region and tourists and visitors to the region. Check out the calendar below and click on the links for more detail about upcoming events at our venues. We look forward to seeing you at an event very soon. Our entertainment and tourism venues are also available for hire to community groups, companies, businesses or schools looking for a venue to hold meetings, functions, conferences or events. Our in-house events team is happy to answer your queries and help you organise your next function. To discuss your options please contact our Events Team on 07 4747 3300, Monday to Friday 9-4 pm or via our contact form. Sign up now for the latest news about up-coming events at the Civic Centre, Buchanan Park and Outback at Isa.